Stainless Steel Wire Mesh Belt Conveyor Belt Conveyor is a kind of constantly conveying machine, widely used in industrial department. One or both of the pulleys are powered, moving the belt and the material on the belt forward. 1. What's material will be transported by belt conveyor9 Cement, sand, limestone and grain etc. Yangzhou Leneng Machinery Co., Ltd.
Flat flex wire mesh stainless steel conveyor belt are made of stainless steel wire of spring wire. 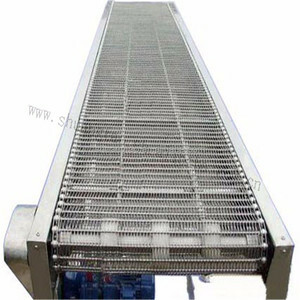 Flat flex wire mesh Stainless steel pizza oven conveyor belt can be made for straight conveyors and for curve conveyors. Flat flex wire mesh stainless steel pizza oven conveyor belt are normally driven by toothed sprockets, made of (stainless) steel or plastic. 2. the common used specifications of the conveyor belt : 2.1 spiral pitch :4mm,8mm,10mm,12mm,12.5mm,13mm,16mm,20mm,25mm,27mm. 2.3 wire diameter:1.6mm,2.0mm,2.6mm,3.2mm,4.0mm. 2.4 rod diameter:1.6mm,2.0mm,2.6mm,3.2mm,4mm,5.0mm. Sales Office This is our sales team,we are serving many customers from all over the world. Stainless steel wire rope mesh Zoo mesh animal enclosure. Stainless steel security screen Aluminum expanded mesh sheet. 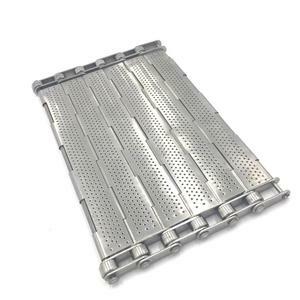 Foshan Hang Mao Metal Wire Mesh Co., Ltd.
Gerneral description: Stainless steel Stepless Speed Adjustment PU belt conveyor has simple structure, so it is easy to maintain. You can tell us your special demand,for example with sidewall or not, with worktable or not, with light device or not etc. II. Adopt corrosion resistant belt to convey reletive corrosive stuff, such as oil proof belt, anti-acid belt, alkali resisting belt. IV. Lingxian Sunshine Conveying Equipment Co., Ltd.
Alibaba.com offers 16,171 wire mesh conveyor belt products. About 46% of these are steel wire mesh, 25% are conveyors, and 5% are transmission belts. 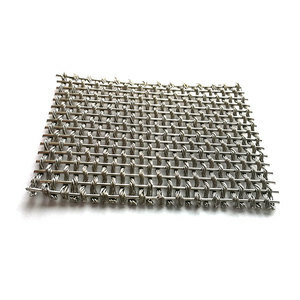 A wide variety of wire mesh conveyor belt options are available to you, such as weave wire mesh, chain link mesh. 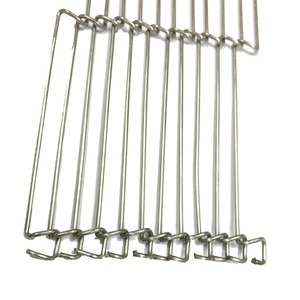 You can also choose from stainless steel wire, stainless steel. As well as from woven wire mesh, screen, and protecting mesh. And whether wire mesh conveyor belt is woven, or welded mesh. There are 16,261 wire mesh conveyor belt suppliers, mainly located in Asia. The top supplying countries are China (Mainland), Japan, and India, which supply 99%, 1%, and 1% of wire mesh conveyor belt respectively. Wire mesh conveyor belt products are most popular in North America, Domestic Market, and Africa. You can ensure product safety by selecting from certified suppliers, including 2,765 with ISO9001, 1,265 with Other, and 49 with ISO14001 certification.